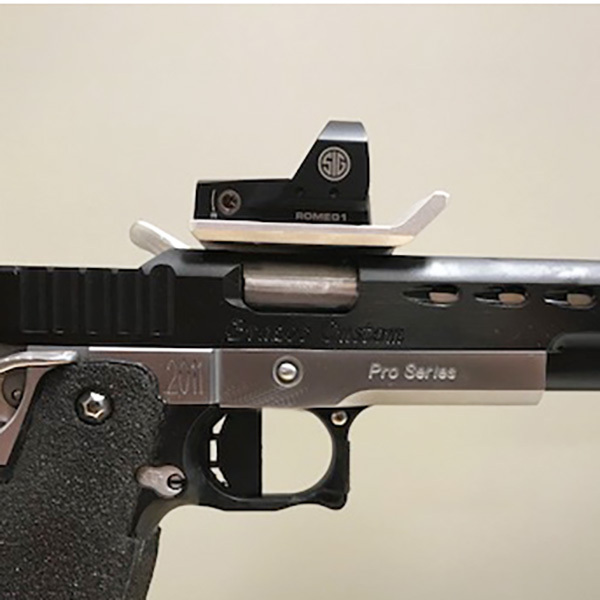 This scopemount is specifically designed for mounting the compact SIG Romeo 1 scope to your pistol. 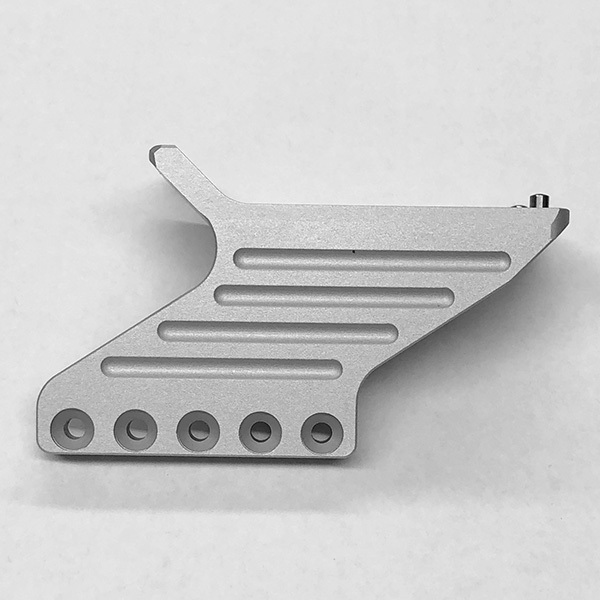 The mount is made of aluminum that has been anodized with a clear (silver) finish. It has an integrated blast shield that protects the lens from debris. To reduce cracks and enhance strength and rigidity, all corners as well as the 90-degree junction between the top plate and the side plate are radiused. The side plate is fluted to reduce weight. Hardened steel locating pins ensure that the scope remains locked down square and fixed in position. The mount is designed so that the scope is aligned with the center of your barrel. A 3/4 degree angle is already built into the mount so that you can drill your holes parallel with the top of the dust cover. Five holes with 0.375” centers have been drilled to attach the mount to your frame. Provided with the mount are a set of screws to attach the scope to the mount and a set of screws plus torx key to attach the mount to your frame. Please use the screws we provide for mounting the scope to the mount and not the screws provided by the scope manufacturer. Full mounting instructions are included. This mount is available to fit either a "standard" doublestack frame (0.830" wide) or a "wide" doublestack (0.920" wide).